What was your reaction when Bob Dylan was named recipient of this year’s Nobel Prize for Literature? Some people were appalled because a singer — especially of the American folk/pop type — won the honor always before bestowed on writers. Others applauded because his lyrics were recognized in the writing category, the first time that such musical output had been honored as poetry. Most everyone knows that Dylan — born Robert Zimmerman, who adopted the name of his own favorite poet, the famous Dylan Thomas — is a Jew. Not a particularly observant one; he’s had a fling with Orthodoxy, but he’s had flings with other religions as well. Still, the fact that “Zimmy” is a member of our tribe sent me looking at the whole list, and I found a few surprises! Boris Pasternak was chosen for the Nobel in 1958, but the USSR would not let him accept it. However, the Russians had no say in 1989, when Leningrad-born Joseph Brodsky won the honor; exiled by his homeland, he had come to the United States and been a U.S. citizen for a dozen years by the time of his award. The very first Jewish Nobelist was Paul Heyse, who was born and died a German long before World War I, let alone World War II and the Holocaust. He was a Berliner his entire life — 1830 to 1914 — and won the prize in 1910. The last Jew before Bob Dylan was playwright Harold Pinter, awardee in 2005. One name on this distinguished list was doubly foreign to me. I’d never even heard of Elias Canetti, a Ladino-speaking Sephardi, born in 1905 in Bulgaria, who did most of his writing in German because his mother insisted he had to learn and use it. He escaped the Holocaust, became a British citizen in 1952, and won his Nobel in 1981. The South African writer Nadine Gordimer took the prize in 1991 — at a time when, because of her vocal opposition to Apartheid, her books were banned in her own country. For a while she was in America, teaching and lecturing at several colleges, but remained a resident of her native Transvaal all her life, which ended just two years ago. Besides Gordimer and Sachs, the only other woman on this Jewish Nobelist in Literature list has an asterisk next to her name: the father of Elfrede Jelinek, who took the prize in 2004, was Jewish, but her mother was not. And Imre Kertesz, a Hungarian Holocaust survivor honored in 2001, was something of a reluctant co-religionist: “I am Jewish,” he said; “I accept that, but it is also true that it was imposed on me.” His novel, Kaddish for a Child Not Born, is based on the premise that no child should ever come into a world that would allow an Auschwitz. But I will always think the most interesting of all is the French philosopher Henri Bergson, who said his studies led him to believe that Catholicism “completed” Judaism, but never converted himself. When the Paris police who collaborated with the Nazis in the horrific roundup of all Jews offered to take his name off the list because of his 1927 Nobel Prize, he refused. But the line was long, the day was cold, and Bergson, already in his 80s, caught bronchitis and died before he could be taken away. So you see, Bob Dylan is the latest, but not the only, controversial Jew in this elite group of Nobel Prize winners. : In September, close to 50 donors and guests gathered at the home of Lindsey and Josh Hochschuler to celebrate and learn more about the New Orleans-based Jewish Children’s Regional Service organization. (From left) JCRS Development Director Mark Rubin and board members Marty and Marilyn Englander, Hank and Dr. Harlan Pollack, Lisa and David Gurievsky, Lindsey and Josh Hochschuler, and JCRS Executive Director Ned Goldberg. Roger Friedman is well-known to many members of the Metroplex who grew up with him at Echo Hill Ranch. Friedman’s parents, Min and Dr. Tom Friedman, founded Echo Hill in 1952 and Roger assumed the mantle along with his wife Roz following the death of “Uncle Tom” in August 2002. What you might not know about Roger is that he is a talented author. In August, he and co-authors Monte Akers and Nathan Akers released Tower Sniper: The Terror of America’s First Active Shooter on Campus, published by John M. Hardy Publishers of Houston. The work explores the history and traumatic legacy of the mass shooting that occurred Aug. 1, 1966 in Austin by student Charles Whitman, from the observation deck of the University of Texas Tower. Paul Sonntag, Friedman’s best childhood friend and his girlfriend Claudia Rutt, were among the 14 people killed on campus that day. The book honors the victims and heroes on this 50th Anniversary of the shooting, and hopefully brings some healing to everyone touched by a type of public tragedy that haunts across America to this day. Roger will be reading his award-winning short story, A Diamond in the Rough, between 1-5 p.m., Sunday, Nov. 6 at Half Price Books, 5803 E. Northwest Hwy. A Diamond in the Rough won first place in the non-fiction biography division of the contest sponsored by Texas Association of Authors, which is also sponsoring the reading. Tower Sniper will also be on hand for purchase. Dr. Roger S. Friedman is a licensed psychologist and social worker with more than 33 years of clinical experience in providing individual, couples and family therapy. He serves as adjunct faculty at the University Of Maryland Graduate School Of Social Work where he received the Dean’s Outstanding Teaching Award in 2012, 2014 and 2015 and teaches graduate courses in family therapy and psychopathology. Dr. Friedman provides consultation, training and organizational development services with focus on clinical assessment skills, family-centered practice and the impact of secondary traumatic stress on helpers. He has consulted with the Maryland Office of Adult Services, the DHR State Office of Child Protective Services, many local departments of social services in Maryland and state child welfare systems in Georgia, Texas, Arkansas and Pennsylvania. He has presented workshops at national conferences and published over 15 articles on secondary trauma in human services, organizational change and family practice in social work. He is a member of the National Association of Social Workers, American Psychological Association, and a Fellow of the Maryland Psychological Association. He serves on the Editorial Board of the Journal of Family Strength. Roger and his wife Roz Beroza have three grown children. Enjoy schmoozing, a dairy lunch, and meet special guest Leah Lax, author of Uncovered for the 2016 Adat Chaverim Sisterhood Paid-Up Membership Event from 1 to 4 p.m., Sunday, Nov. 6 in the Adat Chaverim Social Hall. Leah Lax’s debut memoir follows her life from Hasidic Jew to openly gay woman, relating her journey of self-discovery. The event is free for current Sisterhood members; or $18 for guests and non-members. For more information and to RSVP, go to sisterhood@adatchaverim.org to reserve your seat by Nov. 1. Checks should be made out to Adat Chaverim Sisterhood and sent to Adat Chaverim Sisterhood, 6300A Independence Pkwy., Plano, TX 75023 by the above deadline. If you join Sisterhood within 60 days of this event, your cover charge will be applied to your membership dues ($45). Congregation Beth Torah in Richardson will welcome Dr. David Patterson, Hillel A. Feinberg Chair in Holocaust Studies in the Ackerman Center at the University of Texas at Dallas as its scholar-in-residence Nov. 4-5. Patterson is a winner of the National Jewish Book Award as well as the Koret Jewish Book Award. He has published more than 35 books and 200 articles with his most recent books including The Holocaust and the Non-Representable (forthcoming); Anti-Semitism and Its Metaphysical Origins (2015); Genocide in Jewish Thought (2012); A Genealogy of Evil: Anti-Semitism from Nazism to Islamic Jihad (2011); and Emil L. Fackenheim: A Jewish Philosopher’s Response to the Holocaust (2008). Nov 4 — Dr. Patterson will speak on “The Why of Anti-Semitism through the Lens of Judaism,” following 6:30 p.m., Shabbat services. Cost is $36 for members, $45 for non-members and $10 for students. For more information, contact Beth Torah at 972-234-1542. The synagogue is located at 720 Lookout Drive in Richardson. 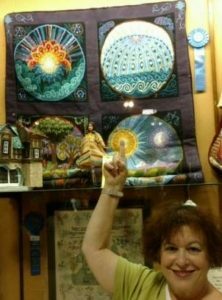 Mazal Tov to Susan Gremm Alterman who took home a first-place blue ribbon from the State Fair of Texas for her needlepoint rug. Susan Gremm Alterman points to her needlepoint rug, which earned a first-place blue ribbon at the State Fair of Texas. Frances Rosenthal Kallison’s family was one of the earliest members of Congregation Beth-El. She was inducted Thursday morning into the National Cowgirl Museum and Hallf of Fame. 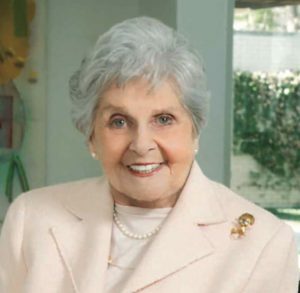 The late Frances Rosenthal Kallison made her mark on Texas Jewish life. A Fort Worth native, her family was among the earliest members of Beth-El Congregation. She was educated at Vassar College, University of Chicago and Trinity University. She was a co-founder of the Texas Jewish Historical Society and regional president of the National Council of Jewish Women. She was published in Cattleman magazine and American Jewish Historical Quarterly. She curated a show about the history of Jews’ historical roots and contributions to the state at what is now known as the Institute of Texan Cultures at University of Texas at San Antonio. But Kallison, who died in 2004, was also a cowgirl. But Kallison’s name recognition wasn’t enough to earn her a place in cowgirl history. Kallison had help from Beth-El archivist Hollace Weiner. In 2008, Weiner submitted a 26-page application for consideration into the hall of fame. The Hall of Fame had already inducted African-American, Hispanic, Native American and other inductees. But they had yet to honor anyone Jewish. Kallison was already well-known both for her service to Jewish organizations as well as public service. But Weiner’s tireless advocacy, as well as her writings in journals, Beth-El’s and the Texas Jewish Historical Society newsletters detail her qualifications and provide a glimpse into Kallison’s life. As Weiner emphasizes, what made Kallison a cowgirl was not just her rugged independence but work on the ranch, known as the Diamond K. After marrying Perry Kallison of San Antonio, in 1931, she became a public face for the ranch, established by her father-in-law Nathan. The 2,700-acre ranch was not solely an investment or a way of life. The family raised goats, horses and cows. They set up a general store in downtown San Antonio to sell their crops. But the ranch had a civic purpose too. During the Second World War, Kallison worked as much as she volunteered. The ranch hosted barbecues for soldiers in San Antonio training for combat through United Service Organizations. During that time Kallison was a civic force as well, successfully establishing a maternity ward in the county hospital. After learning toddlers were going blind because of faulty incubators, she established a nursery. She lobbied the Legislature to repeal the poll tax as well. 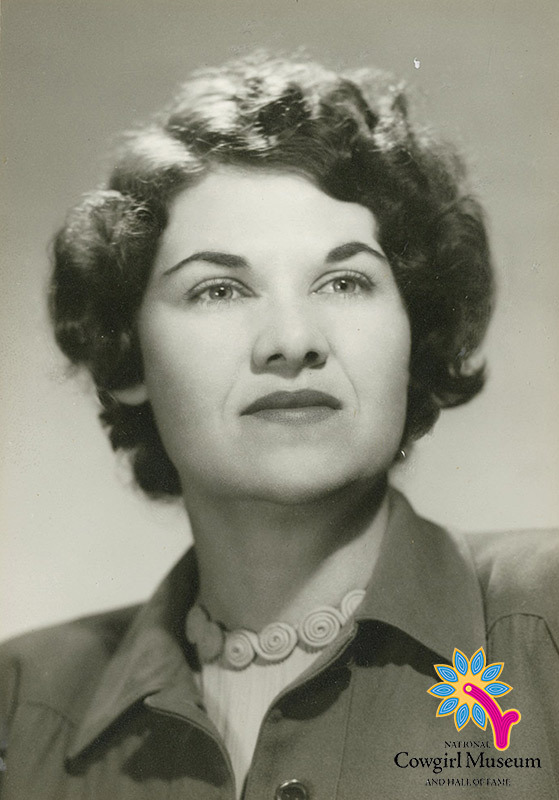 This pioneering work through the National Council of Jewish Women’s San Antonio chapter propelled her to regional leadership positions, including as regional officer from 1941-46 then later as president of the Council’s Texas-Oklahoma-Colorado region from 1946-49. But ranch and civic life were still intricately linked to one another. In 1947 she formed a “ladies’ posse.” This group was a clever play on what role a woman played in civic life. The Ladies’ Auxiliary to the Bexar County Sheriff’s Mounted Posse was at once a professional group of women on horseback dedicated to hunting outlaws and a social club. She didn’t stop her tireless advocacy for the public good after the 1940s. She didn’t shun controversy either. In 1966 she was appointed to the American Jewish Historical Society’s board. 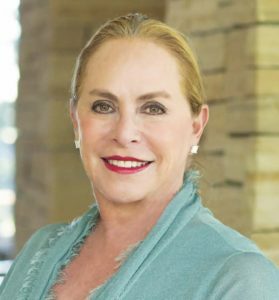 She was also asked to curate an exhibition at the Texas Pavilion of HemisFair, a world’s fair held in San Antonio in 1968, what is now known as the Institute for Texan Cultures at UTSA. Two prominent rabbis pushed back, arguing she was unfairly framing Jews as an ethnic, and not religious, group. But Kallison fought back, arguing “Judaism embodies an ancient culture with distinctive holidays, rituals, foods, literature, and ongoing traditions that positively impacted the development of the larger Jewish community,” Weiner wrote. Kallison was the quintessential cowgirl who embodied the spirit of the west who is now finally getting her due. If I had to choose my favorite president in America’s history, it would have to be, for many reasons, Theodore Roosevelt. Henry Pringle’s biography of Roosevelt was the first presidential life story I read as a child. I became endeared to Teddy when I read of his severe childhood asthma attacks and how his father carried him to their horse carriage. They rode late at night through the downtown New York streets in an attempt to force the cool night air into his lungs. That scene reminded me of when I, also as a child, gasping for air in my first frightening asthma attack, was picked up by my father. I was hurriedly carried to a doctor’s office to receive the life-saving relief of an epinephrine (adrenaline) shot, something which did not exist in Roosevelt’s time. Encouraged by his father, Roosevelt took on physical exercises and activities which helped increase his lung capacity and body strength, eventually overcoming what could have been a life-long health problem. I also hold Roosevelt in great esteem for his love of country and strong support for the development of a powerful modern Navy. As Assistant Secretary of the Navy in 1897, with deteriorating relations with Spain over the future of Cuba, he foresaw a looming war on the horizon. While his boss, the Navy Secretary, was on an extended vacation, TR took advantage of his absence to brazenly assume the position of Acting Secretary of the Navy, ordering additional supplies, fuel and firepower to be sent to America’s Pacific Fleet. In addition, he managed to transfer one of the Navy’s most successful leaders, Commodore George Dewey, from a desk job in Washington, D.C. to Commander of America’s Asiatic Fleet near the Spanish controlled Philippines. By the time war broke out with Spain in 1898, Commodore Perry was in place with a fully supplied fleet, attacking and destroying every enemy ship in Manila Bay. In later years as President, Roosevelt wanted to demonstrate to imperialist nations that the United States had a powerful navy, capable of protecting its shipping lanes anywhere in the world. With hulls painted white, 16 new battleships and their tenders left in December 1907, for a successful fourteen-month circumnavigation of the globe. The experience had a positive impact on the future of fleet operations and ship design, and provided excellent experience for all involved. It definitely impressed the rest of the world and helped prepare our nation for the war ahead. Finally, let us look at Roosevelt and the Jews. In 1903, he sent his personal protest along with a public petition to the czar, objecting to the Kishinev pogroms, but the Russian despot completely ignored it. Roosevelt was the first president to appoint a Jew, Oscar Straus, to a cabinet post (U.S. Secretary of Commerce and Labor). After World War I, as the popular ex-president, he spoke out in favor of Jews being given control of Palestine. You do not have to be Jewish to think highly of Roosevelt. Every legitimate ‘Top Ten Presidents’ list I have found, and rightfully so, includes the name, Theodore Roosevelt. 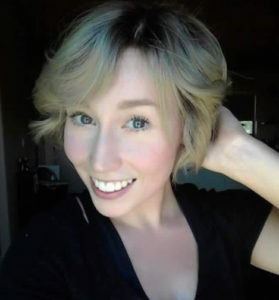 About 100 friends and family members gathered Monday night in Keller, hoping and praying that Zuzu Verk, who has been missing for almost two weeks, would be back home safe soon. Verk was last seen Tuesday, Oct. 11, in Alpine, where she attends Sul Ross State University. According to the Alpine Police Department, Verk had gone on a date with her boyfriend that night, but further details were not clear at press deadline. At a news conference Friday, officials said they had reduced their person-of-interest list to three people. Sunday, officials updated their report, looking for details about a white 2016 Ford Mustang driven between midnight Oct. 12 and the next morning. The owner of that car was interviewed and released. Officials originally spoke with Verk’s boyfriend, who has since hired an attorney and has not cooperated. A reward up to $100,000 has been set up for anyone with information on Verk, who is from the Coppell-Keller area and is a member of Congregation Kol Ami. Glenn and Lori Verk asked for anyone with information to contact Alpine police at 432-837-3486. Verk is listed as 5 feet tall, 110 pounds with dyed blonde hair and hazel eyes. PLANO — The Plano ISD board of trustees is reviewing its religious holiday policy after board member Yoram Solomon brought up the frustration of several Jewish parents in the district — including himself. “We are putting parents and kids between a rock and a hard place,” Solomon said after citing his own daughter’s example on Yom Kippur. “My older daughter wanted to stay home and fast, and did,” he said. 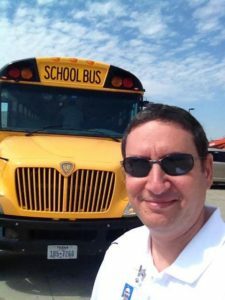 Plano ISD board member and Israeli native Yoram Solomon is raising issues of concern to Jewish families at Plano school board meetings. But his younger daughter had two tests and a presentation. “I was a bad Jew and forced her to go to school,” Solomon said. There were more than 50 complaints about the policy, mostly through email, from Jewish and Muslim families. Solomon pointed out that most of the issues — perhaps 95 percent — could be resolved by simply acknowledging the holiest days observed, including Yom Kippur, Rosh Hashanah and Passover, and not allowing major testing or events on those dates. By the end of the board workshop Tuesday, Oct. 18, president Missy Bender directed two assistant superintendents, Susan Modisette (Campus Services) and Karla Oliver (Government, Community and Planning Initiatives) to explore options and return with a plan or input for further discussion, likely in January or February. Parents Julie Liberman and Lindsay Feldman waited for nearly three hours for the panel to address the topic Tuesday. It was the last item on the agenda, and the discussion did not begin until 8:49 p.m. This, however, was an important enough issue for them to stick around and listen to, even if public input was only provided through the emails to Solomon and other board members. Liberman said that only adds to the stigmatization of Jewish students, something she feels very personally from having grown up in the only Jewish family in a small town. Current policy, as in Dallas, Garland and Richardson, allows students to take off a holiday along with the day before and the day after for travel, but does not provide any differentiation between the high holy days and minor holidays like Chanukah. And while the administration provides a list of holidays to staff, as is also done in Richardson, it is up to teachers and officials to decide whether or not to move major tests or events. Some Jewish parents have indicated that it is still common to find significant activities scheduled on the holidays, and a resistance by schools to make changes. “My feelings are there is a general lack of awareness and interest, at the elementary level, to understand the fundamental differences between our highest holy days and the religion in general,” Feldman said. “We already have this stigma,” Liberman said. Solomon encountered an issue with accommodation as well, part of the reason his daughter went to school on Yom Kippur. “She decided to observe this (holiday), and the teachers said with a good intention, you will get an opportunity to make up the test,” he said. This accommodation did not make it easier. “All three scheduled (the makeups) the same day, same hour. One teacher said, decide which one you will take,” Solomon told the board. But the blame, he said, is not on the teachers, but the administration. “What if that list had 10 days, really high holy days? Then we know what to do,” he said. Feldman sent the board a letter after the meeting that included some resources. The JCRC Education Initiative, she pointed out, sends notices to schools with holidays marked three years in advance. As for the board’s directives, “we give them guidance, but the guidance is too vague and broad,” Solomon said. Not only are high holidays not specifically listed, but the calendar overstates days of significance by listing 109 holidays. 56 Jewish holidays are listed, 23 of them highlighted. “I understand why a principal would say that’s too much to ask,” he said. He proposed keeping it to days like Rosh Hashanah, Yom Kippur and Passover and limiting only important activity, like major evaluations. He also said not a single person asked to have school off for the entire district on those days, but rather to just restrict activities out of sensitivity to the students. The board took a significant amount of time listening to Solomon and asking for clarification on issues. While they largely expressed sympathy with parents’ frustration, a few officials did express concerns over specific issues with such a change. For instance, who decides what’s a major holiday? Board member David Stolle said a rabbi and a non-practicing Jew will respond differently. “I don’t think it is right for a government body to decide what are the important days,” Stolle said, although he did say narrowing the list was common sense. Modisette repeatedly brought up the shrinking of available testing days if a number of days were ruled out. “As we map it out, you may have a day or so of wiggle room. Ten days? That’s a pretty significant amount, especially if they fall close together,” she said. But there appeared to be agreement that the issue needed further study. Ending on that note left parent Barry Hirsch annoyed. “Why are we reinventing the wheel?” he asked Solomon, noting that there are places where this issue was decided years ago. But overall, Solomon was pleased with the result. “Don’t forget the end goal, to solve a problem,” he said shortly after the meeting. The holidays are over. Do we say that sadly or with relief or maybe a little of both? Going from the reflection and seriousness of Rosh Hashanah and Yom Kippur to the joy and fun of Sukkot and Simchat Torah reflects so much about Judaism and the way Jews have always embraced life. It reminds us of the story of the coin in a small box given to King Solomon. He was told when things get bad, and they will, open the box and look at the coin and then when things are good, open the box and turn the coin over. And what was written on each side? “This too shall pass!”A sad statement? Maybe but maybe not — life without sad would not allow us to truly enjoy happiness! So as the month of Cheshvan soon begins with no Jewish holidays but the wonderful American holiday of Thanksgiving, why am I feeling so pensive? Without getting into specific politics, I must admit this election is almost all consuming. There are lessons galore for all of us. However, to be “politically correct”, this is not the place to share opinions but to share the wonderful life we have living in democracy (Yes, I know some people will argue with me over that statement.). There you have me as political as I will get — we have the obligation and the opportunity to vote and to work for peace. Rabbi Andrew Bloom tells the TJP that he will bless pets in honor of Parashat Noah at 12:30 p.m., Sunday, Oct. 30, at Congregation Ahavath Sholom, 4050 South Hulen Street. Bring your dogs, cats, hamsters, birds, lizards, turtles, cattle, horses and snakes even your favorite stuffed animal for a special blessing. All pets-leashed or secured in crates, cages or enclosures are welcome at this free family event. Location is outdoors behind the basketball court. Animals are strictly the responsibility of the owners. Donations of pet food and/or monetary contributions will be collected to benefit the Fort Worth ‘’Don’t Forget to Feed Me’’ organization. For more information, contact Congregation Ahavath at 817-731-4721. The Jewish Federation of Fort Worth & Tarrant County has invited Hillels from Texas and Oklahoma to introduce themselves to Tarrant County high school students at 12:30 p.m., Sunday, Nov. 6, at the Hillel Fair at Congregation Ahavath Sholom. The fair is free and open to all high school students and their parents. Lunch will be served and there will be speakers from all levels of Hillel involvement as well as information booths for each Hillel attending. Please RSVP by contacting Angie Friedman at the Jewish Federation office at 817-569-0892 or a.friedman@tarrantfederation.org. The Hillel Fair is sponsored by the Jewish Federation of Fort Worth & Tarrant County with financial support from the Dan Danciger/Fort Worth Hebrew Day School Supporting Foundation and TCU Hillel. Roz Rosenthal and Rozanne Rosenthal will come in for honors at 6:30 p.m. Wednesday, Oct. 26, at the Fort Worth Club, when the Fort Worth Business Press celebrates the 2016 Great Women of Texas. This prestigious event honors outstanding women in Texas who are recognized for their significant accomplishments in business, civic and social contributions. Roz and Rozanne will receive the Legacy Award. When asked by the Business Press, both women acknowledged their own parents as their most significant role models and mentors. Tickets ($250) are still available and can be purchased online at http://bit.ly/2cAeWEo. For more information, contact Lauren Vay at lvay@bizpress.net. Oct. 30 has all the makings of a big day. From 10 a.m. to 1 p.m., Jewish Family services will hold an open house at its new office in Northeast Tarrant County, 6207 Colleyville Blvd., Suite 200. All community members are welcome. A few months ago the satellite office opened to meet the growing needs of Northeast Tarrant County. Dr. Robbie Kinney is available part time to provide counseling, consultation and referral services. These services are possible because of a bequest made to JFS by Barbie Rakoover. Barbie cared deeply about quality mental health services. Later that day, Harry Kahn will be feted with the Isadore Garsek Lodge of B’nai B’rith annual person of the year award. I am looking forward to attending the event and sharing a toast with my old neighbor and friend. Tickets for the 2016 Jewish Person of the Year Dinner which will be held at Beth-El Congregation are $25. Tables of eight are $200. Riscky’s BBQ will cater. There will be kosher dinners available for those that reserve in advance. For ticket information, contact Rich Hollander at rich.d.hollander@gmail.com 817-909-4354, Alex Nason at alexnason@charter.net or Marvin Beleck at marvinbeleck@aol.com. Debby Rice tells me that committee members have been hard at work to make the learning about BDS program at 7 p.m., Thursday, Nov. 3, at Congregation Ahavath Sholom a meaningful and educational experience. “From our special guest Rabbi David Komerofsky, we’ll learn what BDS is, why it’s important to fight it, and what we can do about it,” says Debby. Ten local organizations are partnering with the Fort Worth Chapter of Hadassah to bring this important educational program to the Fort Worth and Tarrant County community. They include the Jewish Federation of Fort Worth and Tarrant County, Congregation Ahavath Sholom, Beth-El Congregation, the Isadore Garsek Lodge of B’nai B’rith, Congregation Beth Israel in Colleyville, Congregation Beth Shalom in Arlington, Jewish Women International, Southwest Jewish Congress, Lil Goldman Early Learning Center, TCU Hillel and the University of North Texas Hillel in Denton. 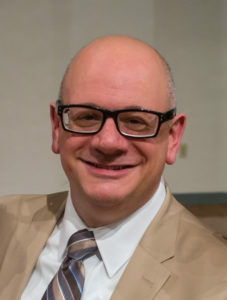 Guest speaker, Rabbi David Komerofsky of San Antonio’s Temple Chai, is the former Hillel Director at the University of Texas at Austin and well versed on “BDS.” It is of utmost importance to learn how to combat anti-Israel and anti-Semitic activism. Don’t miss this opportunity! This event is free to the public. Please bring your friends — everyone is welcome. For more information, contact Debby Rice at 817-706-5158 or rice.debby@gmail.com. 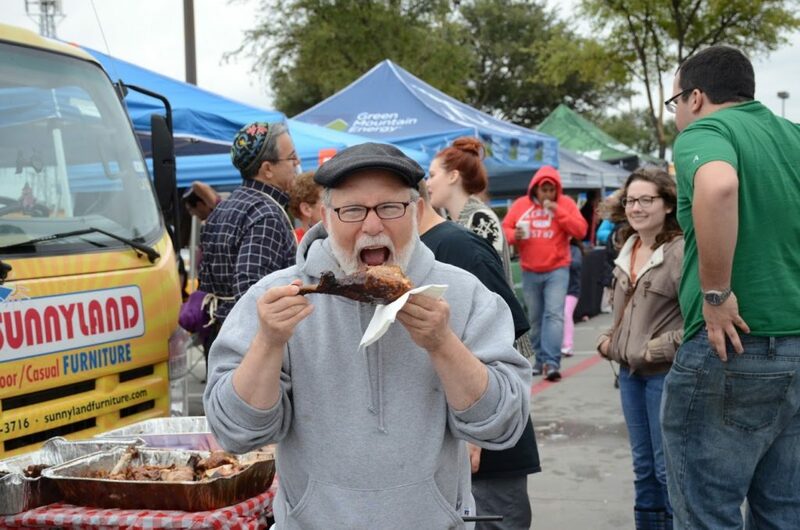 Rabbi David Shawel, director of Kosher Supervision at Dallas Kosher, takes a bite out of a turkey leg at last year’s inaugural Dallas Kosher BBQ. Bigger and better in its second year, the Dallas Kosher BBQ Championship returns Oct. 30 — well on its way to a double-edged goal. The Men’s Club of Congregation Beth Torah established the event last year, drawing nine teams and more than 1,000 people — on a rainy weekend. “We’re guaranteeing better weather this time,” Rubenstein said. The competition will be held from 10 a.m. to 4 p.m., Sunday, Oct. 30, in the parking lot of Sunnyland Patio Furniture, at the corner of Spring Valley and Coit roads in Dallas. The daylong festivities will include music, vendors, cooking demonstrations, silent auctions, a kids play area, hot dog and pickle-eating contests — and, of course, plenty of barbecue. Admission is free. But unlike the Kosher Chili Cook-off– which charges admission (to raise money for local charities) but dispenses complimentary mini-cups of chili — there’s no free barbecue. That’s because this is a formal competition, judged by the Kansas City Barbecue Society, which bills itself as the world’s biggest bunch of barbecue enthusiasts and sanctions hundreds of smoking and grilling contests around the country each year. With the increasing popularity of kosher barbecue, KCBS is making it into a separate competitive category. The main difference is obvious: no pork. But there are other distinctions. To ensure adherence to kashrut, the Men’s Club provides all grills, smokers, utensils, condiments and spices — as well as the four meats in competition: chicken, turkey, beef brisket and beef ribs. To preserve the Sabbath, teams will gather at Beth Torah on Thursday night to prepare the meats, which are sealed in a refrigerated truck. It’s opened after sundown Saturday night, when the fires are lit and the teams start working their magic. Mashgiachs from Dallas Kosher are on hand constantly to ensure everything is done right. Once the gates open Sunday, KLUV radio host and Texas Radio Hall of Famer Jody Dean will serve as master of ceremonies. An unofficial competition with its own set of prizes will be judged by a celebrity panel that includes Richard Chamberlain, owner of Chamberlain’s Steak and Chop House, Channel 8 traffic reporter Marlene Hilton, former Texas Rangers pitching coach Larry Hardy, and renowned food writers Richard Pollak and Amy Kritzer. Barbecue competitions of all kinds tend to feature team names with groan-inducing puns. Last year’s list included Chop Quey, Texas Jew Step, and Uncle Mordy and the MEATzvah Girls. Part of the proceeds from the Dallas championship benefit CHAI (Community Homes for Adults, Inc.), which provides group homes for adults with intellectual disabilities. For more information, log on to www.dallaskosherbbq.com.